For the first time in nine years, the World Rally Championship has been graced by a competitor from India. 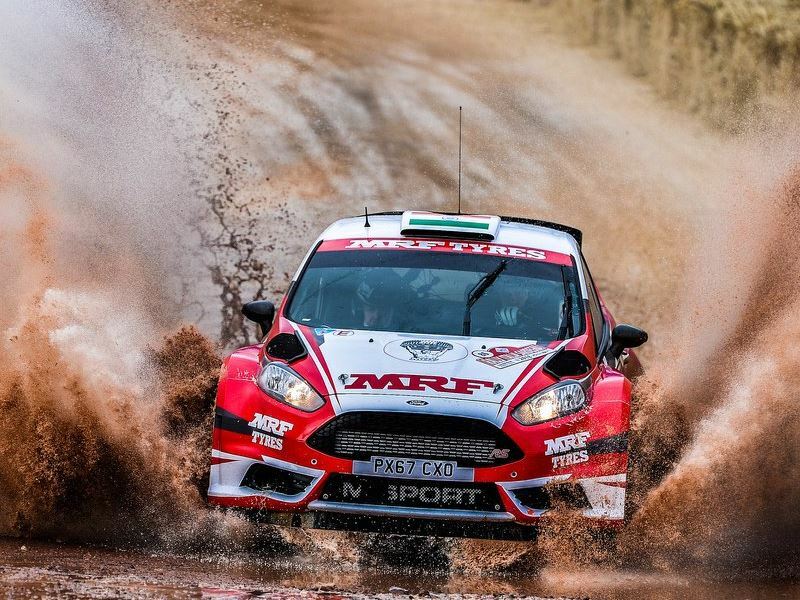 Gaurav Gill is already well known and highly respected in rallying circles on account of his two FIA regional overall Asia-Pacific Rally titles, but now he had been elevated into WRC competition, starting from the recent Rally Italia Sardegna. Around every corner there was something unexpected! As soon as he had returned home we chased him for his reflections before he could forget what had surprised him in Sardinia. GG: I think I knew what I was getting into when I entered the rally. I’d done a lot of research, read a lot of reviews and made a lot of homework but definitely I was still surprised in a lot of ways. I was surprised to see that the speeds were so high, also the level of roughness. Also how the new generation World Rally Cars could be driven all over the road, using every centimetre possible, kicking up all the rocks, stones and boulders from every nook and cranny. Of course our low starting order on the Friday didn’t help us, but our running order was much better on Sunday and Saturday. Starting our 2018 campaign on the roughest rally in the world I guess it was going to be hard on me and hard on the tyres, we expected that. The smallest things made all the difference, like the jump which damaged our car on the Friday afternoon. We had already driven over that jump three times before (it was part of the shakedown as well) and on the fourth we were 6kph faster and our heavy landing ended our rally for the day. When you rallied in Europe before, nine years ago, you drove a Group N car. Now you have an R5 car which I suppose is a lot stronger. GG: Of course, I’m glad to be in an R5 car. I don’t know how people could drive a Group N car in those conditions, it would be very very difficult. Behind World Rally Cars, R5 is the best thing that we can get as of now. How has the WRC scene generally changed in the last nine years? GG: I would say it must be the way a lot of these guys drive flat out for all three days, right from the word go, and in the end the result was that the rally was won by less a second! I think that is one of the biggest changes. The competition was tight all the time, it goes down to the wire, every rally, not only overall but with the R5 guys or even the other guys behind. There are so many competitive guys now. Maybe nine years ago there were three guys who could win but now it could be like eight guys, a massive difference. Also in the WRC teams you can now find an eighteen year old and a thirty eight year old, all of whom could win the rally. At all ages, everyone is striving for perfection, to be as fast as possible. The various WRC cars are closely matched – and so are the R5 cars. GG: I think R5 is a very interesting formula, and R5 is the closest thing that you can get before you get into a World Rally Car. Current WRC drivers like Esapekka Lappi and Teemu Suninen really showed that whoever is quick in an R5 car can pretty much go over to a World Wally Car and if he is really committed he can also be quick in those cars. I think R5 is a great overall package, a great product and a great concept from FIA. Have the WRC regulations become more complicated since you were in the world championship last time? How familiar did the WRC seem when you came back again? A lot of new faces? GG: Obviously I already knew the Skoda boys and I had known Esapekka from days together on the APRC but otherwise I didn’t see many familiar faces from the last time I was at the World Rally Championship. 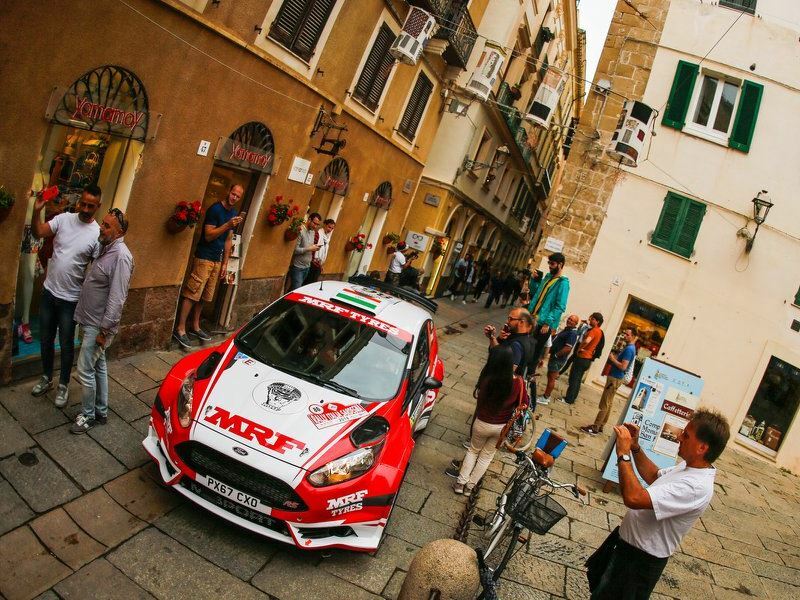 What did you learn in Sardinia about the rally that was going to help the development of the MRF tyres? GG: We had two different types of tyres and we set out to understand how they differed over the rough stuff, though we didn’t understand just how completely different the rally would be than expected because of the extremely rough conditions. Anyhow we had a very successful event because we achieved what we set out to do, which was simply to collect as much data and understand the requirement for the tyres that we will require in the future. We had some good stage times. I pushed quite a bit on some parts on Saturday to understand how well the tyres could cope with those situations. So it only gets better from here. 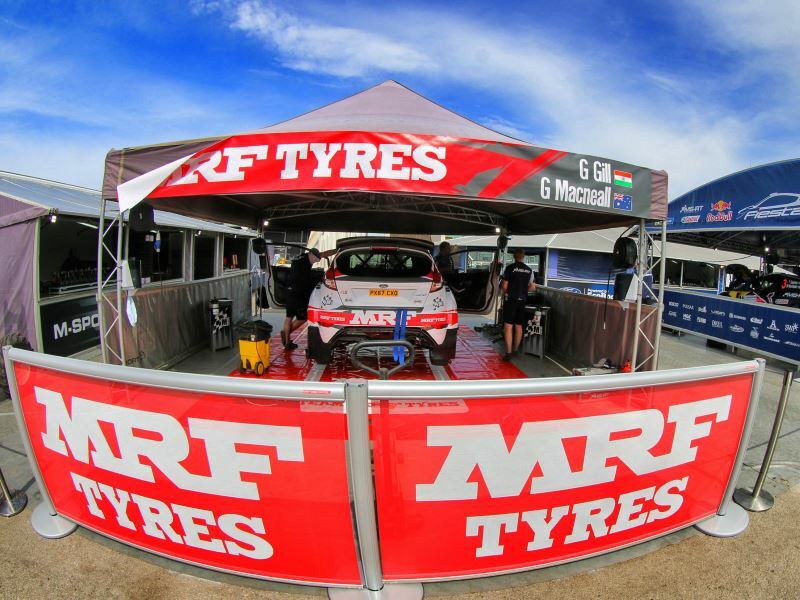 I’m going to MRF factory and hopefully by Finland I think we should have another development tyre which will be different from what we used here in Sardinia. Thinking about MRF’s rivals, one of the recent interesting characteristics with tyres, especially the Michelin tyres, is the way that the drivers seek to use soft compound as much as possible. Was that something that is taken into account at MRF, or is this approach new to them? GG: MRF has a very different tyre, and we don’t really know what to expect on the other rallies. Our aim is to collect all the possible data and understand what other drivers want. It’s a learning curve and we are trying to understand what everyone wants and how to go about it. 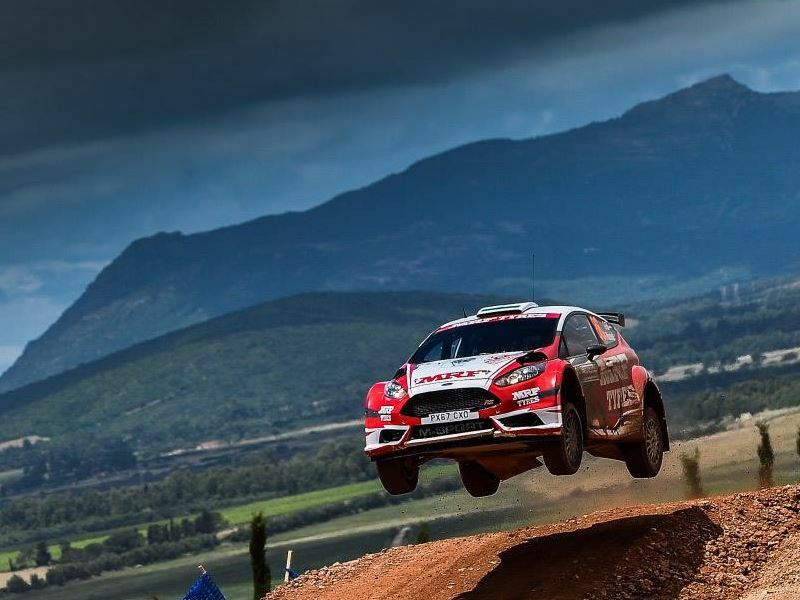 But I think Sardinia showed a lot of preference for hard tyres as well because the stages can be long and at the same time generate that much traction also is something MRF and myself are working on all the time. The final question is what is your programme from now onwards? GG: This year, now we’ve completed Sardinia, most likely we will do Finland but it might instead be Turkey. Then GB and Australia. Those are the rallies that we are attempting this year, all the remaining gravel rallies. Then hopefully next year all the gravel WRC rallies as registered WRC2 competitors.